[코리아헤럴드=손지영 기자] 다국적제약사 엘러간(Allergan)이 메디톡스의 액상형 보톡스 ‘이노톡스’의 임상 3상을 4분 기 중 시작 할 것이라고 23일 공식 입장을 밝혔다. 계획 변경이 없는 한 올해 중으로 미국 내 임상 3상에 돌입한다는 것이다. 엘러간 본사는 23일 코리아헤럴드에 “메디톡스 측에서 3상을 위한 이노톡스 (Innotox, 미국 내 명칭 MT10109L) 임상용 제품을 2분기 내에 보낼 예정”이며 “현 타임라인 상 이노톡스의 임상 3상을 2018년 4분기에 시작할 것”이라고 밝혔다. 엘러간은 작년 11월 “메디톡스가 3상을 위한 임상용 제품을 계획대로 2018년에 제공한다면 이노톡스의 임상 3상을 “가능한 선에서 가장 빠른 시일 내로 시작할 것”이란 입장을 내놓기도 했다. 메디톡스 관계자는 이노톡스 임상용 샘플을 엘러건 측에 보냈는지에 대해서는 공식적인 답변을 내놓진 않았다. 하지만 “현재 엘러간 측과 매우 원활하게 업무를 진행하고 있으며, 빠른 시일 내 임상 3상을 위한 IND(임상시험계획)가 제출될 것으로 기대한다”고 밝혔다. 최근 관세청에서 공개한 수치 및 업계 분석가들에 따르면 메디톡스는 이번 달 중에 엘러간에게 제품 배송을 완료한 것으로 추정된다. 관세청이 월 별 보툴리눔 톡신 수출량을 추적한 자료에 따르면 5월 중 약 51만 9천달러 어치의 보툴리눔 톡신 제품이 아일랜드로 수출되었다. 그 이전의 아일랜드 향 수출 건은 0건 이였다. 엘러간의 본사는 아일랜드의 수도인 더블린에 위치하고 있다. 노무라 증권 송은정 상무에 따르면 이는 메디톡스가 엘러간에게 배송한 이노톡스 임상 샘플 물량일 가능성이 높다. 송 상무는 “국내 기업 중 아일랜드 향으로 보툴리눔 톡신 제품을 수출한 곳은 없다”며 “한국 기업이 제조한 보툴리눔 톡신 제품 중 유럽의약청 승인을 획득한 제품이 없기 때문에 때문에 임상용 샘플이 아니면 배송이 안 된다”고 설명했다. 그 외에도 송 상무는 “메디톡스 1분기 실적 발표 자료를 살펴보면 2공장에서 매출이 발생할 것을 유추할 수 있다”며 2공장이 엘러간의 제품 생산 전용 공장인 만큼 샘플이 출하된 것으로 보인다고 덧붙였다. 이노톡스는 메디톡스에서 개발한 차세대 보툴리눔 톡신 제품이다. 식약처 허가 획득 후 국내에서 판매되고 있는 세게 최초의 액상형 보톡스다. 기존 분말형 보톡스 제품과 달리 별도의 희석 과정 없이 바로 사용 가능한 액상 제형으로 시술 편리성과 정밀한 시술에 용이하다는 장점이 있다. 이노톡스는 다국적제약사 엘러간이 2013년 약 3.62억불 (약 4,000억원) 기술수출 규모 계약을 통해 한국을 제외한 전세계 시장에서의 독점 판권을 사들였다. 하지만 수출계약을 맺은 후 5년이 되도록 이노톡스의 미국 임상이 개시되지 않아 엘러간이 메디톡스의 제품을 개발할 의향이 있는지에 대한 의문이 꾸준히 지속되어왔다. Allergan gave official confirmation Wednesday that it would initiate phase 3 clinical trials of Innotox, Medytox’s Type A liquid-type botulinum toxin in the fourth quarter of this year, as it expects to receive the needed clinical supplies from Medytox before June. “Medytox plans to deliver phase 3 clinical supplies to Allergan this qarter. As previously stated, clinical development timelines can change, but based on the current timing, Allergan plans to commence Phase 3 in Q4 2018,” Allergan said in an emailed statement to The Korea Herald. 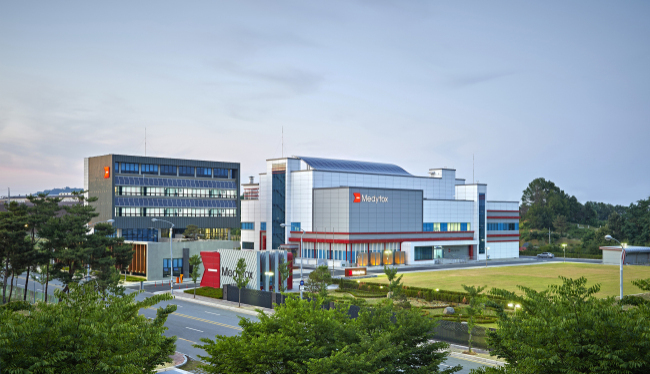 It is the first time in six months that Allergan has formally spoken up about its partnership with the Seoul-based drugmaker, as well as set a cncrete development timetable for Innotox. If Allergan begins the phase 3 clinical trials within this year as planned, the move will bring Medytox closer to launching its liquid-injectable anti-wrinkle treatment in the US and potentially heat up competition for BTX makers. 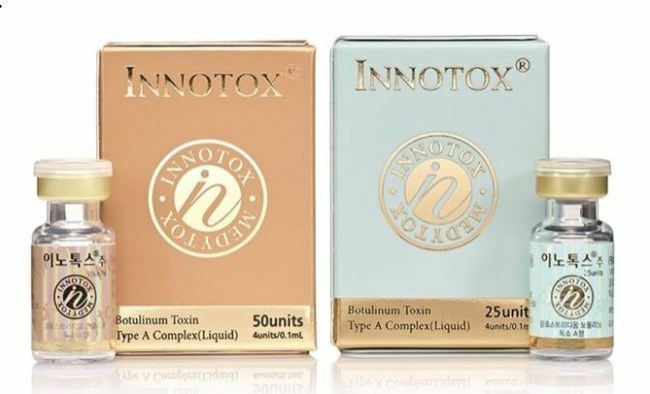 Innotox is the world’s first-ever liquid injectable BTX, which is currently pproved and sold in Korea. Typically, BTX is created as a powder, a small amount of which is mixed with saline solution for clinical injections. In November, Allergan had indicated that Medytox oversees the manufacturing of MT10109L, known as the Innotox compound in Korea, adding that the US drugmaker would initiate phase 3 trials “as soon as reasonably possible” once Medytox provides the clinical supplies as planned. Though Medytox refrained from commenting on the shipment, Korea’s latest BTX export data suggests that the firm delivered its Innotox clinical supplies to Allergan’s headquarters in Dublin, Ireland, this month. According to the Korea Customs Service’s data tracking the monthly volume of botulinum toxin exports, Ireland received $519,000 worth of BTX exports from Korea in May. Allergan has its headquarters in Dublin, Ireland. “No Korean company has ever sold BTX products to Ireland, because there aren’t any products which have been approved by the European drug regulator. Considering this, all BTX shipments to the regions are for clinical testing purposes,” said Nomura Securities analyst Cara Song. Allergan and Medytox struck a license partnership in 2013, when the Seoul-based company sold the global development and commercialization rights to Innotox to Allergan in a deal valued at up to $362 million. However, Allergan did not initiate the drug’s phase 3 clinical trials in the years that followed, fueling concerns that the US drugmaker was not interested in commercializing the injectable BTX drug. News that Allergan is pushing through with plans to develop Innotox heightens the competition for current and prospective BTX makers in the US, the world’s biggest market for the anti-wrinkle treatment. Though Allergan currently dominates the segment with its flagship BTX brand Botox, new rivals like Korea’s Daewoong Pharmaceutical and Hugel are on the verge of launching their own products in the US at more affordable prices. The fastest challenger is Daewoong and its US partner Evolus, which have filed a biologics license application with the US Food and Drug Administration for its Type A botulinum toxin drug Nabota, also known as DWP-450. However, the US FDA declined to approve Nabota last week, citing deficiencies related to the chemistry, manufacturing and controls processes. Despite the dampened outlook, the companies said they would soon refile an application with supplementary documents, with the aim of obtaining the US regulator’s marketing approval next year. If approved as planned, Nabota is expected to become the first Korea-made BTX to enter the US. And it is widely expected that Evolus will aggressively market the drug at a steep discount and reap benefits from being the only company to sell a Type A BTX drug at cheaper prices, Song said. For Medytox, it’s a late runner in this race considering that it will take at least two years for Allergan to conclude its phase 3 trials for Innotox, and another year or so to obtain the FDA’s approval. However, Allergan has cited plans to rise above the competition by positioning Innotox, a liquid-type BTX drug, as a premium product that is superior to the cheaper rivals available in the market, according to the Nomura Securities analyst.